I have used Capital Cleaning for a number of years across our business for the external cleaning of holiday homes and buildings and the weekly change over clean for our holiday letting units. I have always found Capital Cleaning's outlook to be very focused on standards and customers' needs combined with excellent service from himself and any team member. Capital Cleaning pride themselves on customer service and deliverance of quality and this shows in his team he employs. I would have no hesitation in recommending Capital Cleaning for a contract. I wish Capital Cleaning all the very best in the growth of his business. We have always achieved high cleanliness scores on sites cleaned regularly by Capital Cleaning, but when requested to provide cover at other sites our scores went up overnight, and was always backed up with compliments from our customers. They have never failed to deliver an outstanding service on both regular and deep cleans. Capital Cleaning always supported me to get the job done. M Berry, Estates Manager, Sussex Partnership NHS Foundation Trust. Capital cleaning helped us to support services to our hospitals and units and maintained a very high standard of cleanliness and services throughout. Capital Cleaning cleaned the carpets throughout my house. He came over to give me a free quote and explain the process. Capital Cleaning offered a friendly yet professional service and even helped me to move some heavy items that I could not manage. I was very pleased with the result (and very shocked about the colour of the water that came out of my carpets!) I will definitely be using him again. Thank you for doing such a fantastic job. The conservatory roof looks really nice. I can highly recommend Capital Cleaning. From estimating, agreeing the price and arriving to clean my house, Capital Cleaning were very professional and efficient. The finished results were so good I booked him again to clean the carpets and upholstery in my mobile home (static caravan). 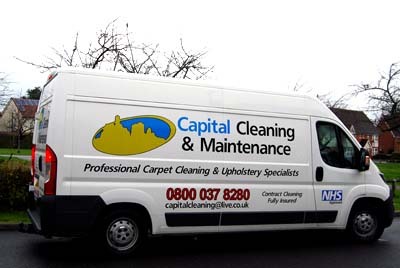 I was really pleased with the results Capital Cleaning achieved and have no hesitation in recommending him to others. In fact, I then suggested Capital Cleaning for carpet cleaning at my place of work. I’ve hired Capital Cleaning to deep clean my house, including the carpets and upholstery on several occasions now and they have always done an amazing job. They have been a pleasure to work with, and I’ve been very happy with the quality of their cleaning which had been to a consistently high standard. I would recommended them to anyone who’s looking for a reliable and professional service. We are very happy with the results achieved by Capital Cleaning who cleaned three offices and meeting rooms at Wire Belt. Capital Cleaning did a really good job with our Display Room – our show room where we take customers and visitors and achieved brilliant results with a bad water stain on the carpet. We are happy to recommend Capital Cleaning on price, effort and reliability. My name is Mokbul Hussain aka Mok I own Lateef Indian restaurant in Sittingbourne. I needed my restaurants, chairs and bench seating cleaned as they were looking a bit worse for wear and a friend recommended Capital Cleaning. Well what can I say a true professional cleaning company from start to finish. They have done an amazing job. The staff were really friendly, polite and very knowledgeable and the price was more than reasonable. I would highly recommend Capital Cleaning to anyone who is looking for a cleaning company in fact I have already done so a friend of mine needed his carpets cleaned without hesitation I recommended Capital Cleaning. Thank you to Capital Cleaning and your staff top job well done. Capital Cleaning have done work for us in our well know restaurant the Maharani in Sittingbourne as well as my house for many years - carpet cleaning, upholstery cleaning, floor polishing and cleaning our kitchen in the restaurant. This man and his team are great very good at what they do - honest, reliable and fair priced, nothing is too much bother for them. Marvellous firm 100%, jobs done carpet cleaning and deodorising our carpets and then Scotch Garding them. I can and would highly recommend Capital Cleaning who we have used many times at our Mosque in Sittingbourne and my house too. I was a senior caravan sales advisor at 3 parks - Beauport Holiday Park, Hastings Hoburne, South Cirencester Ashcroft Coast Holiday Park, Isle of Sheppey. We had Capital Cleaning as our contractor to clean the sales caravans inside and outside. 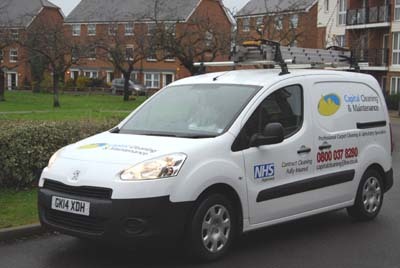 The work they provide is outstanding all completed to a high standard. Would highly recommend this company 5*.